First up we must begin this article by thanking Samarah who volunteered her time, considerable expertise and battled through the dreaded Byron Bay holiday traffic to photograph Ros’ Rock 1 and 2. For some time colleagues have been pressing us to photograph these two rocks using high resolution and magnification. The recurring problem has always been that the cost was too high and until Samarah made this incredibly kind offer we were always hoping to get Ros’ Rocks photographed at this level of clarity, but this wish has been the first casualty of an endemic lack of ready cash. These two rocks are now well known in academic circles and within many official agencies and neither group has reacted well. At the time of writing we are aware that the Head Curator of the National Geological Repository is familiar with these rocks and that the Smithsonian Institute has been contacted and is showing some genuine interest in their replies, but whether that will develop into something meaningful is yet to be seen. One of the many anonymous academics who is extremely interested in the pedigree of Ros’ Rocks 1 and 2 gave us a quite candid, and alas entirely expected, summation of the current impasse. 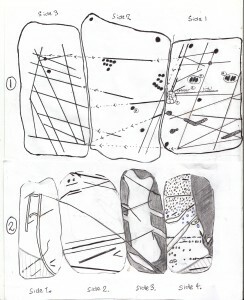 There is a commonality in academia’s inability to recognise, our colleague noted that none have any idea of what to make of these wide assortments of markings and that no-one has seen anything like what has been inscribed into these two rocks. It seems about half of those prepared to respond will concede that the markings on the rocks are ‘man-made,’ but hasten to add they are merely guessing and have nothing concrete upon which to base that assumption. So we do have an agreed starting point, there is nothing like these two marked rocks on this planet and no-one has a frame of reference from which to compare. 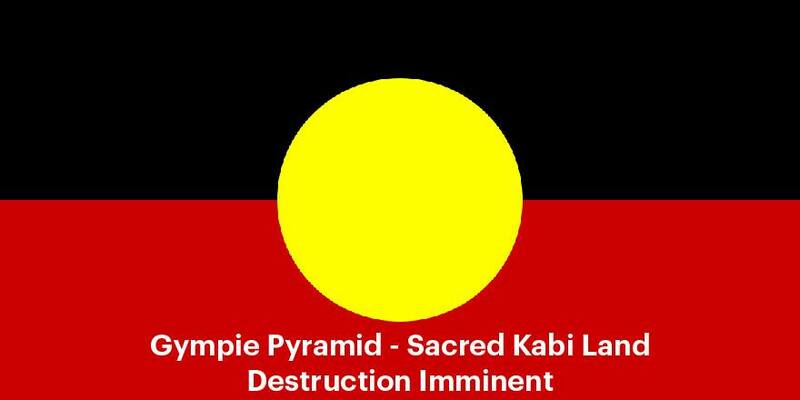 That is one step forward, but a few more paces towards the affirmative are still required, and at this stage lacking. What is very much the normal state of proceedings is that we have both rocks under temporary custodianship and have made it clear that we are very open to share with any qualified expert who asks. As yet there has not been a request, no institution or individual representing any official channel that has asked to investigate. We could take issue with this cultivated inertia, as we have already done in the past, and that has got us nowhere so a different tactic is advisable. We will take no further offense at the deliberate obfuscation, and will turn the other cheek after each rebuttal and keep knocking on the door. In attempting to inch towards that conciliatory end we are forwarding this article to many universities, some government agencies and we will also try to stir the interest of the few politicians who seem to have retained a degree of integrity and honesty. For any new to this emerging archaeological anomaly, in the simplest terms we will summarise what is found on these two rocks that has caused so much discomfort. Ros’ Rock 1 was excavated from no less than one metre beneath the surface when digging the foundations for a house on the top of a sandstone plateau at Kariong. Obviously thousands of years passed before an accumulation of top soil of that depth could occur, but the reality is that any date past the early 1800’s is sufficient. 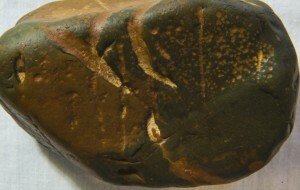 The technology responsible for creating the array of markings on this rock is as exceptionally sophisticated as it is robust. The rock, which is most likely a very hard sedimentary form of silicate, demands a blade of incredible hardness to even pierce the surface. We have been assured by experts that no store bought chisel would even mark this rock, everything about it demands a blade, crafts-person and modern day setting. The history of Ros’ Rock 2 is somewhat less grand, yet no less complex and symptomatic of how little regard inconvenient Original archaeology like this is given, it was brought in an open auction held on the internet. 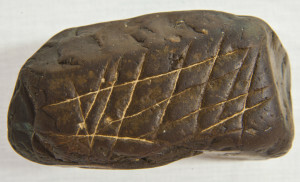 As it is with the larger rock, the markings can only be created with the assistance of sophisticated technology that is assumed to be absent from this continent until after the British Invasion. Samarah’s high definition photographs take this conventional time frame a massive step backward, for we are certain there are messages and technologies present on these rocks that are beyond the embrace of any tool or intellect of today. 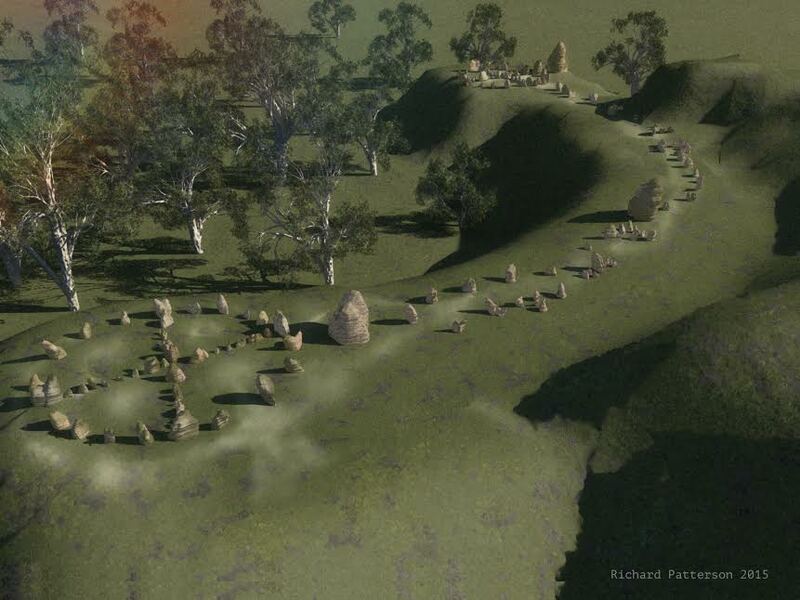 The first rock bears witness to over 200 lines, points of intersection and shapes. 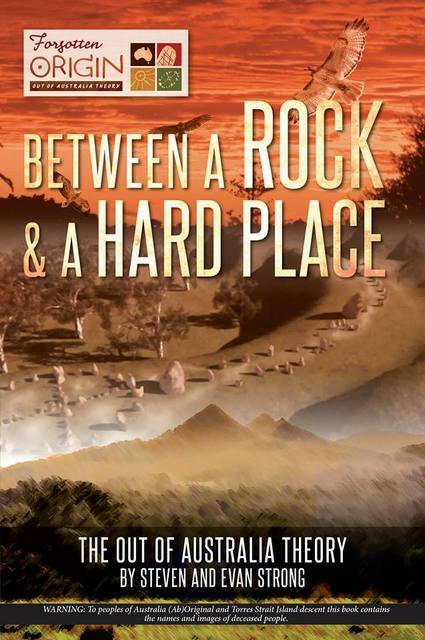 The angles created are a pivotal element in this ancient text and a colleague of ours in this research, Dr. Derek Cunningham, has an extensive bank of overseas research to compare against in documenting the repetition of the same angles on other rocks and walls throughout the planet. It is for this reason that on one side of what is agreed to be a map or chart, the angle 33 degrees is marked out on six lines. There is no coincidence associated with the fact that this rock was found at a location that is 33 degrees south of the equator. As amazing and durable as these lines are, they are but a small part of this ancient time capsule. Peckings of the smallest size appear in the dozens and two much thicker lines make up yet another style of script. What does stretch the limitations imposed by an obviously mistaken assumption in relation to the gradual evolution of technology on this planet, is the presence of infilling and imprinting. On and in this rock are two areas where exotic material was filled into two depressions and some form of incredibly strong and durable adhesive was applied to keep this mixture attached to the rock. Then, in what only adds to the diversity of technology required, there are about a dozen shapes that seem to have been ‘stamped’ into the rock, but none have broken the top layer of the surface to reveal the lighter undercoat, or could it be there is much more to this process than a chisel? We still had trouble absorbing the implications and refutations laid out on this rock and if indeed our suspicions are correct, the chances are high that a high resolution lens and a boost in magnification will lead to a situation where these rocks of themselves will demand a total rewrite of world history. The close-up photographs confirmed what we were already so close to being absolutely positive about, with the possible exception of two thicker lines, no chisel was used in creating the thinner lines. The lines are too fine, steady, even in pressure, consistent in width and depth to be the outcome of any chisel striking this rock. 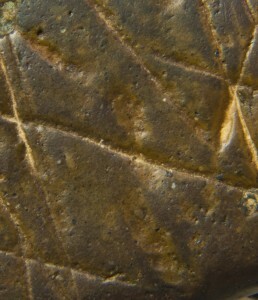 If chiseling into a rock of this hardness, just breaking the surface is an effort, but there should be a degree of jaggedness where the imprint of the blade does not always evenly join up to the adjacent mark. There is not a trace of join or deviation, each line is equally consistent in depth, width and continuity and was obviously made in one motion. A knife-edge with a very fine blade is the obvious candidate, but wait, in charting these distant voyages ‘we have a problem here Houston,’ as there is no knife or blade yet made on this planet which could manually cut a rock of this hardness to the same standard. Imagine the strength of the human wrist needed then multiply that impossibility by the chances of producing a hand-held blade purchased at the local hardware store with high tensile strength, then place a rock of this type on the table and see what happens. All that will come out of this is a sore wrist and the chance to visit to the local store demanding a refund for the broken blade. As certain as these outcomes are, what we are even more positive of is that no mark will be made on the rock and no cutting implement from today will come close to creating the majesty and cryptic artistry of what was composed as a testimonial to times long gone. What only adds to the intrigue is that although less prolific or evident than on Ros’ Rock 2, the first rock also shows the presence of an older set of lines that in many cases was refreshed and perhaps added to. This then is an ongoing ancient tradition from which it must follow that such sophisticated technology is not an isolated ‘flash in the pan’ explosion of scientific brilliance, but something far more unsettling. 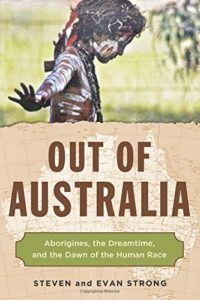 The considerable span in years necessitates a continuous and long lasting advanced technology taking place thousands of years ago throughout the continent, yet all the ‘experts’ insist that the Original people living here were restricted to a stick, bone and stone tool-kit. The markings on Side 2 highlight the sophistication of not only the tools, but cryptic intent. The five most prominent lines are linked to both neighbouring sides by lines of the same alignment or an intersection point. There are ten connection points in all, with five on each side. Again such a subtle interplay can only take place through design and careful measurement, perhaps not only the start and beginning points are part of the content, but so too the length of each gap is contextual. The cluster of nine imprints on the top of Side 3 of varying shapes and sizes is a crucial addition to this narrative and introduces a new field of technology we still have trouble absorbing, let alone proposing. 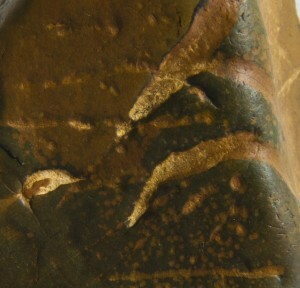 Each of these imprints does not break the surface, the lighter almost cream underlying layer provides a dramatic contrast to the dark brown all over Side 3, but not here. With one imprint having a depth of 0.5 centimetres, the question that demands to be addressed relates to how this could be created? No chisel or knife would be up to the task, and we have been informed that for these markings to be stamped into the surface in its normal state needs a temperature of over 2,000 degrees Celsius. That is one possible explanation, the other is that this extremely hard rock was placed in an oven of some type. 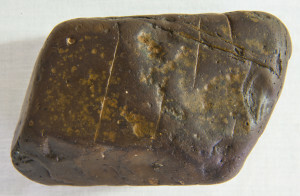 The surface of the rock melted and lines were then cut into the semi-liquified silicon. While in this artificially altered state, a series of shapes were carefully stamped which solidified soon after. It would seem that the imprinting of shapes took place first as three of the vertical lines in the map below continue upwards and intersect at the end point or crest of one these shapes, which seem to infer that the shapes were already there. Without doubt these imprints are connected to the map below and only make any progress in interpreting what this chart chronicles, which at the moment is less than minimal, even more difficult. What only stokes the fire in suggesting a ceramic process embellished by a potter’s knife, blade and scoop are two sets of what appear to be gouge marks. Under the magnifying lens a set of four scoops in one line and another three close by, look very much like someone used a small curved, hollow tubular blade to flick out seven pieces of rock while in this molten state. What it means is another mystery, but how it was done looks a much easier task and only confirms our suspicions that the rock was melted, marked and formed as if it was a lump of damp clay. That technique also explains the reasons behind the creation of a triangular ridge between Sides 2 and 3, which we strongly suspect was deliberately formed to offer the most comfort to the thumb when held in the right-hand. 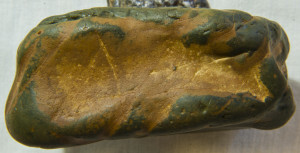 A section of the rock was obviously removed, and it really does look like there are six thumb prints that run in a line marking out where the rock was smoothed off with a rough application of a human thumb pressing into a wet silicon base. The infilling that was packed into two depressions on this rock is yet another extension in technology that was unexpected. Infilling is a process of which we were unfamiliar until this was actually pointed out to us by someone with more knowledge in geological processes when examining the rock. 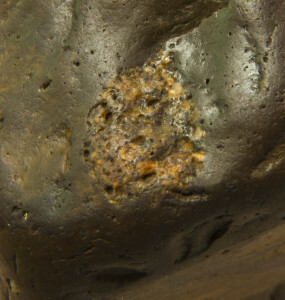 In two locations in this rock, of which one is quite noticeable, foreign material that is most likely a mixture of grains from other rocks was inserted into the holes. However, that of itself would be a temporary ‘top-gap’ measure, something else with amazing adhesive qualities must have been mixed into this conglomerate. It is still stuck onto to its silicon host and was first applied tens of thousands of years earlier, I’m not sure any store bought glue, adhesive or cement would come with a thousand year guarantee. Identifying this infilling wasn’t due to our vision, but once alerted to its presence and now photographed at high resolution, there is no doubt whatsoever what was done in these ancient times is beyond the reach of the technology of today and the days that follow for some time to come. As mentioned previously the angle of 33 degrees appears seven times of the map/chart on Side 3. It really should come as no surprise that the rock was found at a site that sits on the same latitude. Consistent to that same theme, Ros’ Rock 2 has what is the largest in area of the four sides (Side 4) depicting what seems to be a star chart with pecks of four diameters, possibly representing the magnitude of the celestial bodies. Both being of the same type of rock yet separated by over 700 kilometres by their place of discovery, there is much that is shared, but equally, some aspects of this second rock are unique. The smaller rock also has a cluster of imprints spread around a semi-circle of 25 millimetres depth. Even though it is half as deep as the more imposing assemblage on the bigger rock, the same issues in regard to breaking the surface and the intensity of heat needed still remain. Mention was made of the detection of a few remaining ancient lines on the first rock, they took some time to even see so faint is the residual line. On the second rock this older delicate script is more numerous and visible and is still an integral part of the ‘pay-load.’ There is one older line that curves around all four sides, it is the longest on either rock and we believe it binds the narrative. Beginning at the cap on the letter A (Side1) and continuing in a gradual descending arc through Side 2 it is still present appearing on both ridges that sit above the depression made by the index finger and completes its circumnavigation beneath the star chart on Side 4. What is a touch puzzling is that the finer and mathematically exact older lines are longer and sharper than the more recent and cruder lines and shapes which lack the same precision and sharper edging. That ‘rougher edge’ is particularly evident on Side 4, there are six sets of horizontal lines that run across the proposed star chart. All are a combination of dashes and dots, often with small spaces of unmarked rock still remaining, they look very like a Morse code readout. In maintaining the younger and less prescriptive manner of presentation are the two largest shapes carved into both rocks. Both found next to each other on Side 4, the first shape resembles a Y and the second a boomerang. The Y shape is just over 3 centimetres in length and the main shaft is a narrow oval shape which is 8 millimetres at its widest point, while the boomerang is 4 centimetres long and up to 3 millimetres wide. It is quite possible that both shapes were longer when first made, as my measurement stopped on the ridge that leads down to the finger-depression. Of course at first glance the star chart and assortment of lines and imprints on Side 4 are barely noticable, it is the engraving that so strongly resembles the capital letter A that immediately captures the eye. If for no other reason than all the other Original iconography and symbols discovered until now are not familiar to the Western eye and script, this prominent engraved symbol immediately resonates. The longest staff runs under and around another two sides and measures 9.6 cms, and throughout its journey the depth and width of the cut is consistent. At odds with all the other more recent markings of less rigour in precision and geometry, the second shorter staff (2.9 cms) runs parallel to the longer line and is also of the same breadth and width. 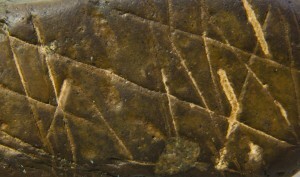 As with Ros’ Rock 1 there is no suggestion or residual markings of the chisel blade. Without doubt the longer staff was formed in one motion as the hand held a tool that sliced into a soft malleable layer of silicon. What only heightens our suspicion that this was cut into, never hammered or chipped away, there is a very fine crack that runs all the way along the longest staff and also curves around the middle horizontal dash that joins the staffs. This sharp split runs directly down the centre of both lines and never deviates in equally bisecting each line in half, there can no feasible way a chisel was involved in this construction, there is no other choice available here, it was cut. There is no doubt whatsoever that Side 3 has one primary purpose, to be touched and held by the index finger of the right hand. 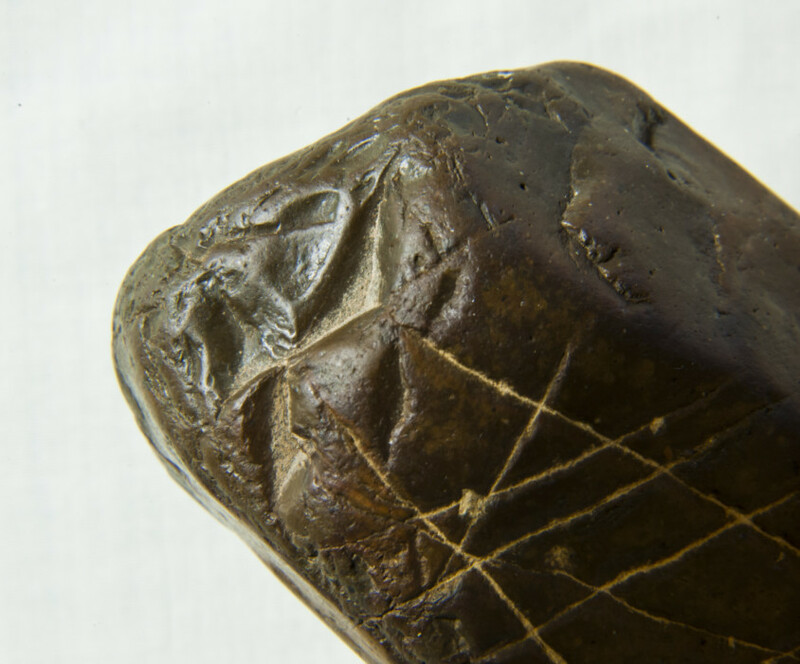 As it is with Ros’ Rock 1, which was manufactured so as to be held in the right-hand, the same rules and rituals apply here, except the manner in which this rock must be held is even more prescriptive. The depth (50 millimetres) and width (2.5 centimetres) of the area of rock that has been worn away through intimate contact with the skin is very pronounced and speaks of an antiquity that has many noughts. Of course, every piece of archaeology, science or conjecture we have presented thus far is saddled with the same fundamental omission, an Original verdict given by someone versed in the Old Ways. Until that Original assessment is conducted everything is possible. The second rock has recently been held by an Original custodian who was given no prior briefing or introduction. Within fifteen seconds he had summed up the entire contents of three months of earnest research and extensive consultation. The first comment, that it was “heated” to assist in engraving was a real surprise, then to be told it “came from my country,” which it certainly did, and that the narrative is about “his people and ancestors” illustrated once again how little of the ancient Original history has been lost. The same Elder made reference to “on top,” to be honest that was all I was originally expecting, all of the rest was ‘manna from heaven,’ and it is for those reasons and others that the same Original custodian will be given Ros’ Rock 2 as soon as her time with us is finished. Another researcher we have the privilege to be working with, Richard Gabriel, has once again detected a fascinating miniature gallery of shapes and objects on these rocks, one of which seems to take on very human facial features. That claim may sound a touch radical, but the only certainty that can never be questioned is that anything and everything is still on the table, especially so when there is nothing to place on this table with which to compare. But the problem is when approaching such an ancient table there is some clutter and old plates stacked close to the edge that have to be cleared off and thrown in the bin. 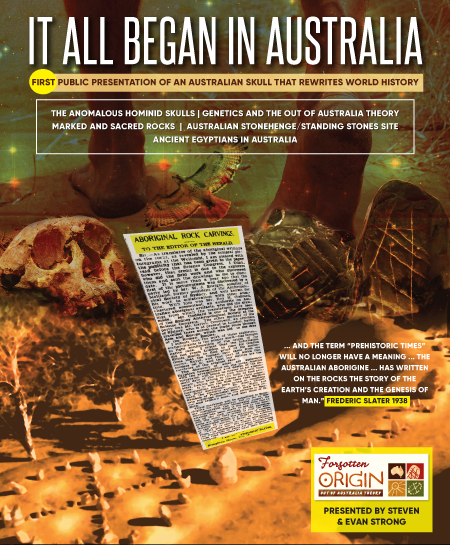 Any talk of Out-Of-Africa, in fact out of anywhere other than Australia is not on this menu, the numbers academics bring to this table are lacking in zeros and the genes of those seated all bear ancient Australian signatures. Once seated at the table, it soon becomes apparent the structures and technology upon which it is built are as advanced and sophisticated as they are confronting. And that is the crux of the problem, no-one representing any department or official organisation has taken the plunge and got up close and personal. Yes, the rocks contain markings, infilling, imprinting, gouging and ancient lines that upset so many historical tales and assumptions. But as to whether our explanations are correct or even in the general ‘ball-park’ is a trifling distraction, and until someone has the courage to look and publish an alternative, our version reigns supreme by default. Even if proven to be mistaken, no less can be said for the incumbent historical versions which are in even more error, for at least we are aware that the current theories are totally inadequate when held up to the presence and pedigree of Ros’ Rocks 1 and 2, and have responded accordingly. We begin our musings from that common-sense base in conceding that a new model is obligatory, and until the critics and ‘fence-sitters’ accept this logical consequence, the science, archaeology and observations we have tendered is far better than anything else on offer. We invite our critics to prove us wrong, assess, analyse, measure and photograph to your heart’s content, but please do some proper science. Come up real close and hold the object, don’t view a photograph from afar, put the rock in your hand, then criticise, deny or agree. Of one truth there has never been a contradiction, comments from the spectators seated in the grandstand are rarely of benefit. Our research is far from complete and a work in progress, but we are on the Original path. The problem is that it is a road rarely travelled and nobody with an official tick wants to join us on this journey. With a rock in each hand held high acting as beacons, we will continue down this road to somewhere remaining at all times faithful to the spirits of the land and the principles of good science, and in doing so will persevere in extending invitations to those who really should be bolder and less timid. Rocks to be held braille-like, while lucid dreaming, consciousness travelling, out of body experiencers, telepathic connections. Used as a navigation tool, map, guidance system, for hand to brain, mind to remote consciousness, remote viewing. Try that on?